A new offer is out for Aeroplan members who stay at Fairmont Hotels! Once again we see double miles but this time you can add into that a discount of up to 20% and a $25 hotel credit. Participating properties are in Canada, the U.S., Bermuda and Mexico. 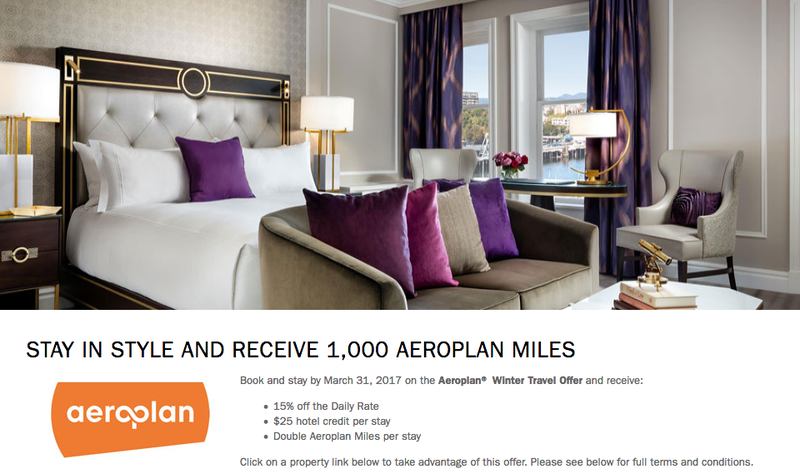 Find more Aeroplan bonus offers here!